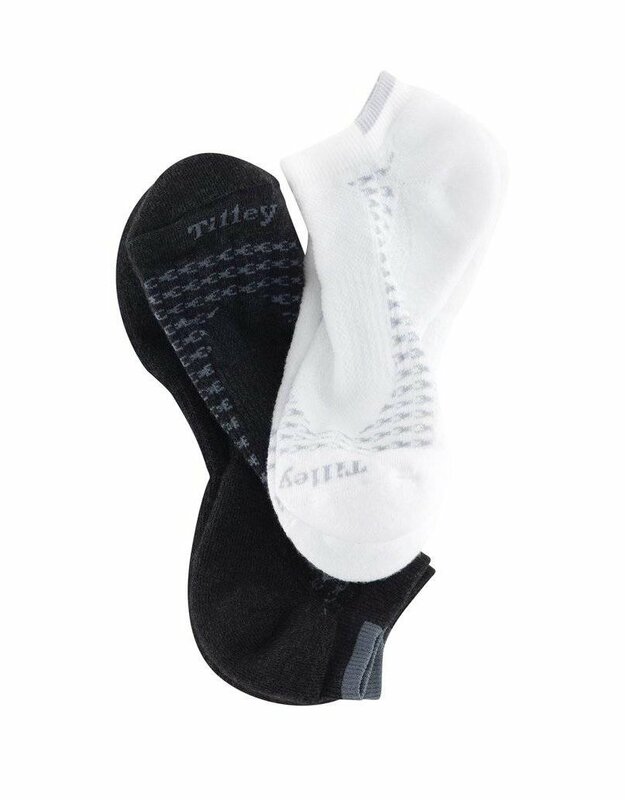 Designed proportionately to fit a man's foot, this ankle sock is comfy, guaranteed hole-free for 3 years and to dry overnight virtually always. Arch support and moisture escape panels ensure a dry and comfortable fit. Made from 54% polypropylene (with alphasan), 42% nylon and 4% Spandex. This blended fabric gives our socks their excellent moisture wicking action, fast-drying capability, durability, and comfort in the evening.